Do you need some inspiration….? Here are some amazing projects & ideas I love. 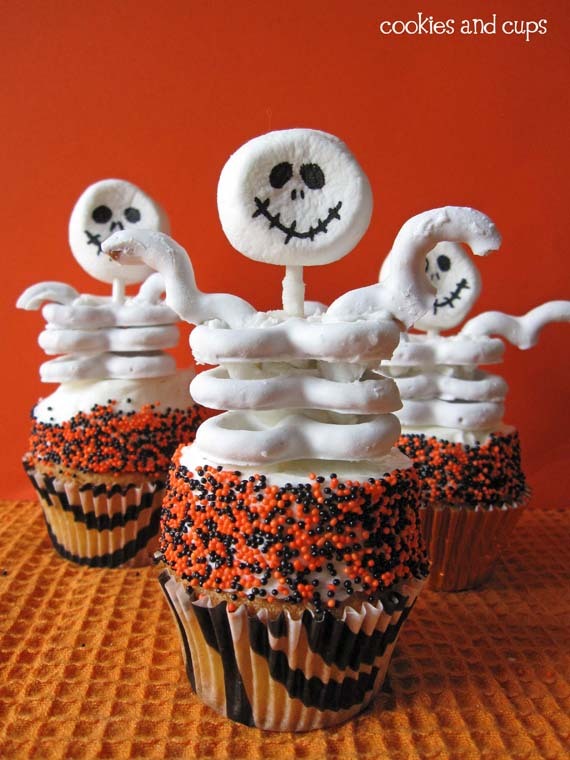 These sweet owl cupcakes are so fun! I love the HUGE oreo eyes! And it looks pretty easy to me. What didn’t I think about this? 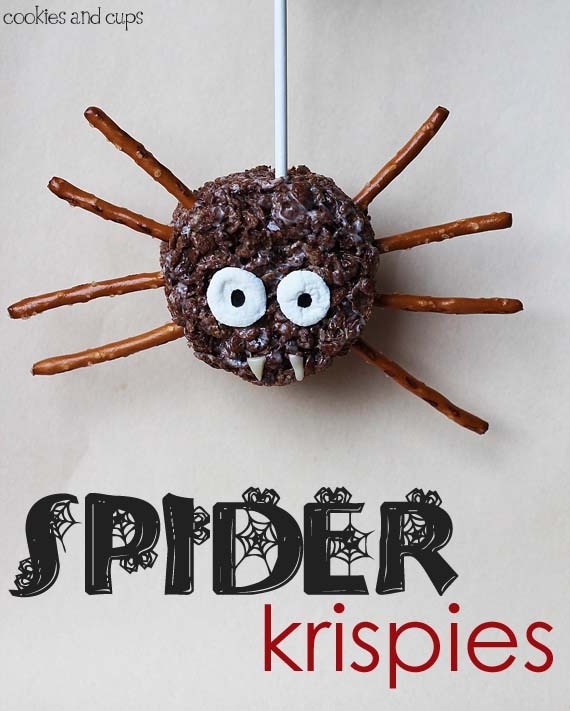 These rice crispy treats are fantastic! 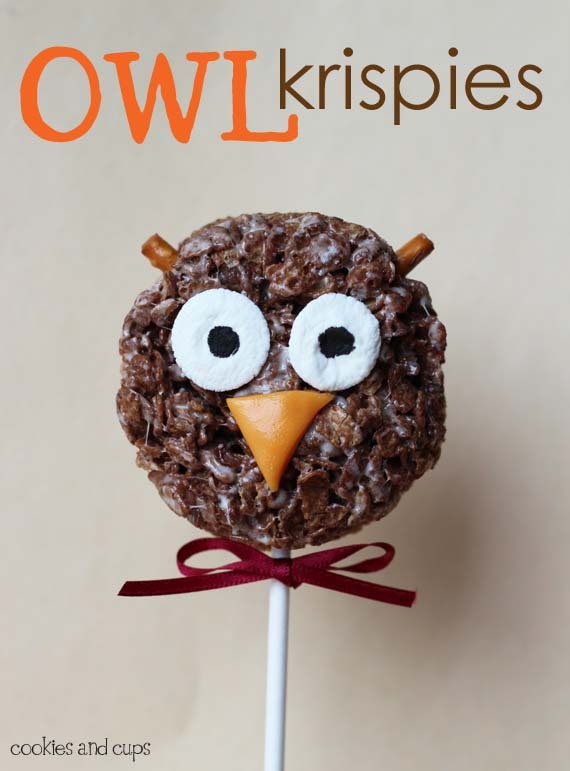 …and the sweet little owl. 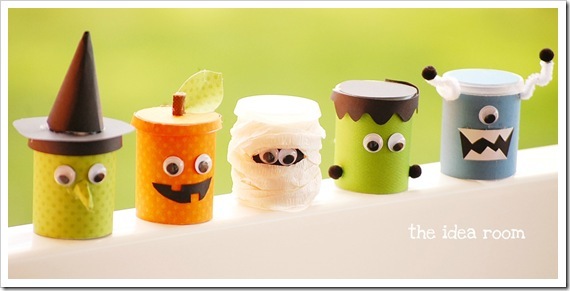 They are small play-dough containers… What a cute party favor! Do you have a bunch of scrapbooking paper laying around? 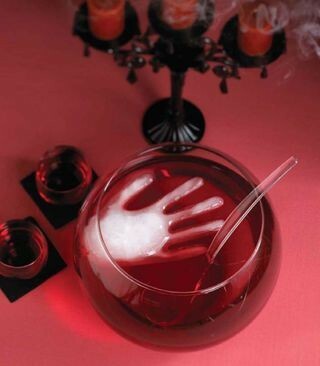 This idea is so spooky… make an ice hand with a powder-free latex glove. These eyeball cookies are so much FUN! 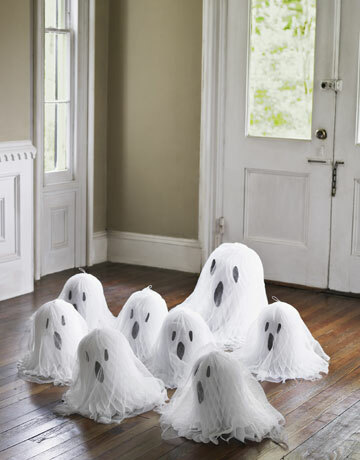 If you are not a lover of messes and carving, here is a PERFECT project for you. 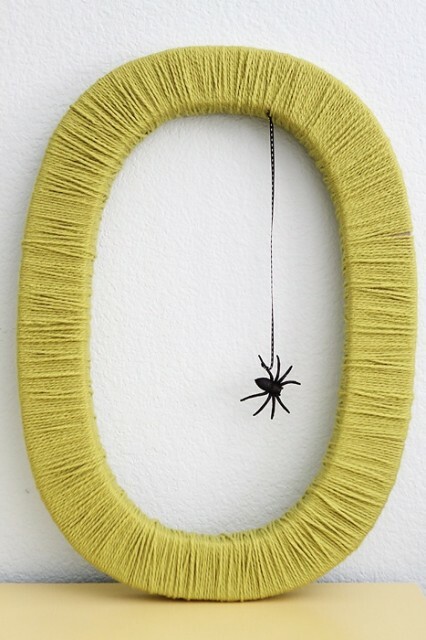 Just pull OUT the glue gun and get creative! This Apple CIDER IS APPLELICIOUS! How cool is this idea; use a pumpkin to hold your bowl. 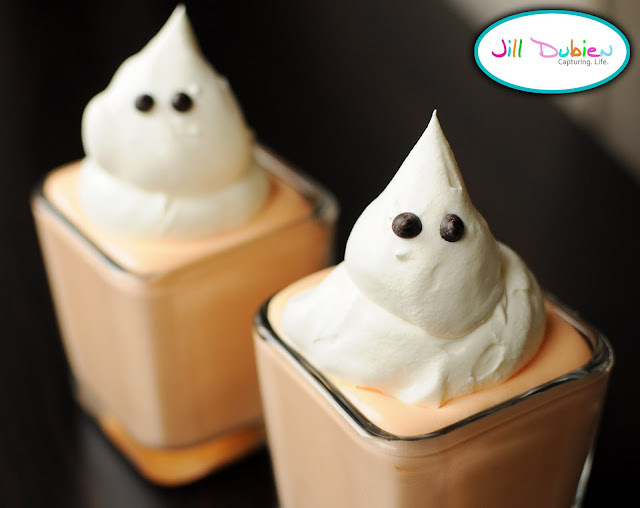 Don’t you love their little eyes? This is a great idea if you have some jars around. This eye makeup idea is simply Witchlicious! Three letters one word: LUV! And let me finish with an Oooooo ! 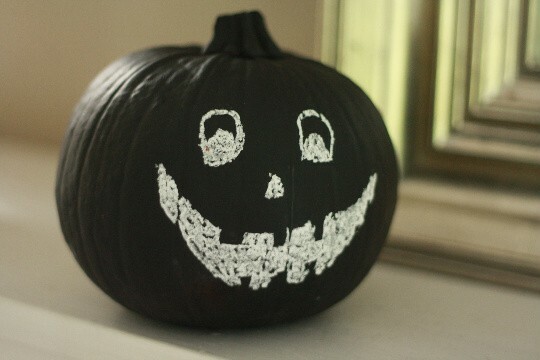 Now go and CREATE some of your own 😉..
For more Halloween ideas visit MY HOLIDAY BOARD on Pinterest. NextParty Time and 1000 GIVEAWAY! 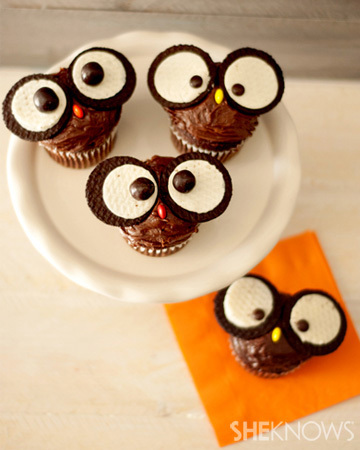 I made those darling cupcake owls with the huge oreo eyes last year. They are easy and really turn out that cute! Tons of great ideas, as always! Oh, it’s only when you type – gotta make sure ya got the right caps where they are supposed to be I guess! Hmmm…Let me see what I can do about the caps. It is annoying. love your blog! 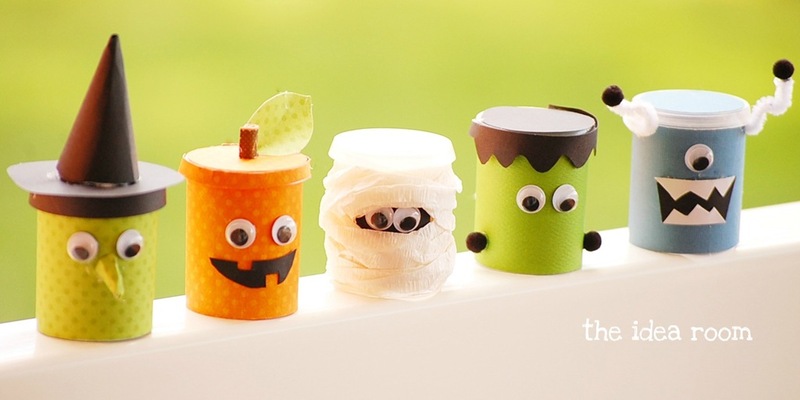 thanks for sharing these cute halloween ideas! also your newest follower! woot! 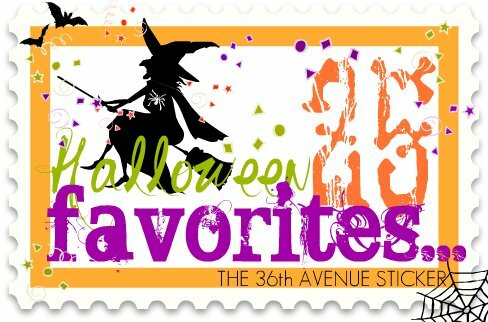 Thank you so much for visiting and welcome to The 36th Avenue! LOVE ALL OF THESE. 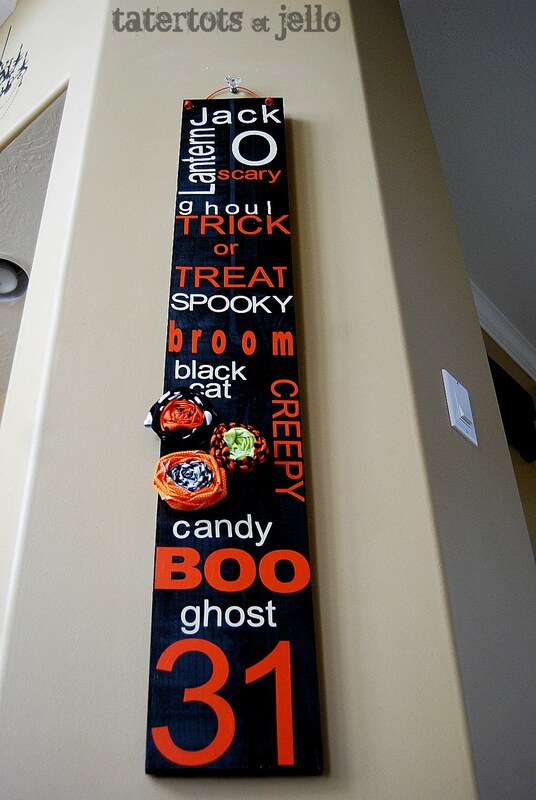 THE CIDER IS A LITTLE SCAREY TO ME THOUGH 🙂 I THINK MY FAVORITE IS THE MANTEL. LOVE THAT!!!! Great Ideas! I think I’ll try a couple. Thanks for sharing!